The clinical site we have most recently visited was Westminster Christian Academy. The preceptor there is Hillary Orf ATC and the PY1 AT student is Ali Graham. Both of us have been to this site multiple times and really enjoy the atmosphere that WCA has. Through observing the care provided by Hillary and Ali, we have learned a lot through observation. Some of the many things we have learned there include different taping techniques for ankles and wrists. We have also observed the actions athletic trainers take during different sporting events. 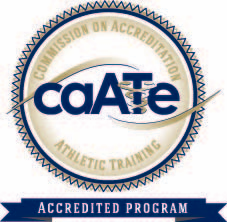 We have witnessed preventive care before games and practices through heat and icing as well as post practice issues. One thing that stands out to us about WCA is that it is a combination of middle school and high school, so some athletes come from all age ranges with similar injuries. 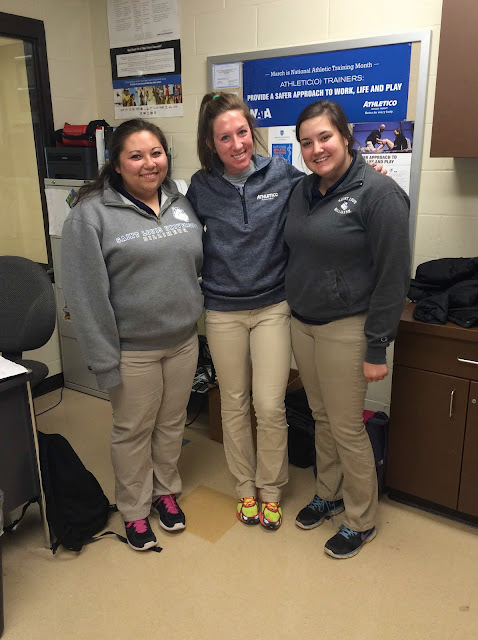 With Hillary being a Saint Louis University graduate, she has given us lots of advice, tips and studying strategies to us succeed in this athletic training program. In addition, she is hired by WCA through Athletico. She has given us perspective how working as a certified athletic trainer is different for everyone, since she works at the office during the day and WCA at night. This is one of our favorite clinical sites and we are thankful Hilary and Ali let us observe there for much.